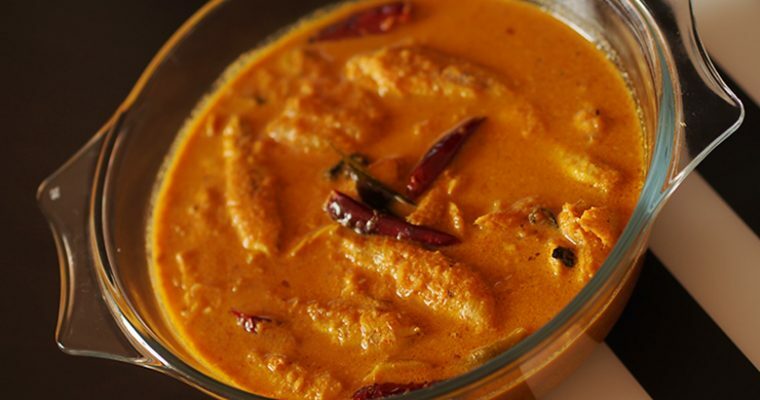 This fish curry makes for a tasteful, tangy,low-fat dinner. It is a simple South Indian dish that goes well with rice and tapioca. 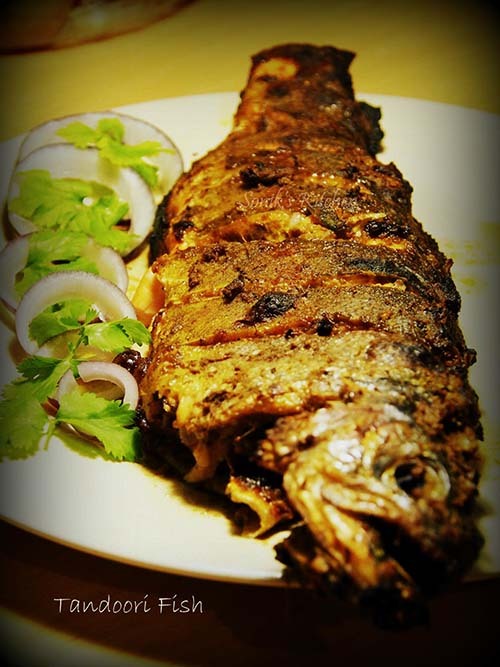 Marinate the fish with coriander powder, turmeric powder, chilli powder and Kashmiri chilli powder and keep it aside. Soak the Kodampuli in some warm water for 20 minutes. Heat oil in a clay pot (if you do not have a clay pot, you can use any wide vessel) and add mustard seed, let it splutter. Add ginger, garlic, green chillies and s, saute it for a while. Add Kodampuli and it’s water, ¾ cup thin coconut milk, water and salt to taste. Mix it well and add the marinated fish. Cover with a lid and cook on medium heat for about 10 minutes or until you notice that the oil has separated and fish is cooked well. Remove the lid and add the thick coconut milk and simmer for 2 minutes. Tempering: heat oil in a pan, add the remaining shallots and curry leaves and fry till it is golden brown. Add this to the fish curry and gently mix it with a spoon. Serve this delicious dish with rice or tapioca.